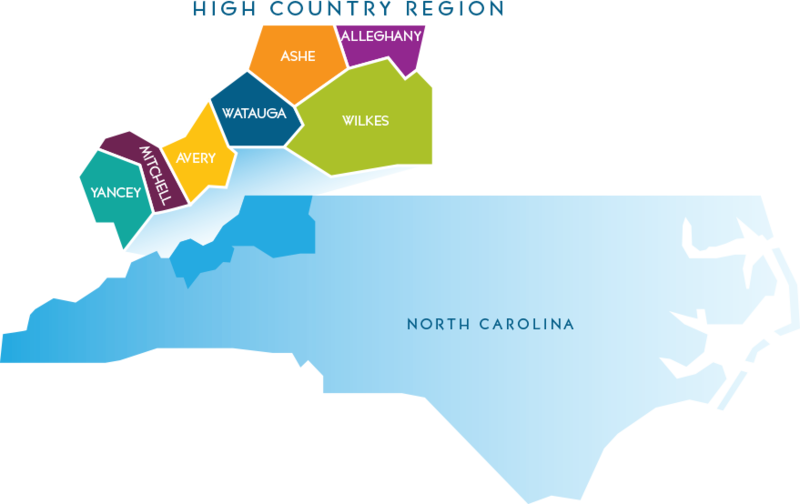 Welcome to the North Carolina High Country’s very own local food trail, covering Alleghany, Ashe, Avery, Mitchell, Watauga, Wilkes, and Yancey counties- a region united by our authentic Appalachian mountain food heritage. Whether you’re on an afternoon jaunt, a weeklong stay, or if you’re making a life of it, let us guide you to our most delectable and authentic farm-to-table restaurants, craft breweries, farmers markets, wineries, distilleries, local food products, you-pick farms, farm tours, and more. All highlighted locations offer a great visitor experience, are committed to sourcing local food as much as possible, and are driven by creative entrepreneurs who are passionate about making Appalachian local food happen. Funding for this project made possible by the Appalachian Regional Commission, and the Boone/Watauga County Tourism Development Authority, and the Blowing Rock Tourism Development Authority.